Trading Educators was founded in 1988 by Master Trader Joe Ross to share his knowledge with aspiring future traders on how to make profits using his successful techniques gained from fifty-seven years of experience. The Team at Trading Educators is composed of an international blend of experienced traders, all educated and proficient in the Joe Ross methods. Our professional staff trade regularly in the markets. Since its foundation, Joe Ross and the Team at Trading Educators have taught thousands of satisfied customers to use Joe's concepts to produce significant profits in today's markets. It is our goal that you learn to trade successfully. "I graduated in 2000 with an MBA, and then started trading. When I first read Joe's books, I realized that in these books Joe tells only the truth about trading markets, which I had not found elsewhere. 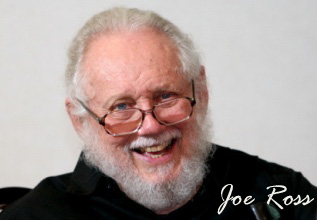 In 2005, with Joe’s blessing, I began to translate Joe's books and seminars as the first person to introduce them to Chinese speaking countries, and to find the way to connect the Chinese market with Joe’s methods. What I try to teach students is not only how to make money, but also how to become a successful trader. As a happy mother, I currently trade for a living and promote Joe Ross' books and seminars in China." Guido Albi Marini is a graduate of Economics and Commerce from the Faculty of Naples. He was responsible for all trading activities as Executive Deputy Chairman at the Bank of the Province of Naples (family bank), which was then quoted on the Milan Stock Exchange. He moved to the United States where he has contributed actively to the listing on the Nasdaq of a technology company in which he was a partner. Guido started trading the partnership account in 2005, and continued managing the partnership resources in order to make them grow. Thanks to his previous experience, it took him only a short time to choose the techniques that best fit his character and vision for trading. The best results came from the techniques taught by Joe Ross. Guido studied Joe's books and practiced the techniques he had learned, and ultimately, as Joe suggested, he made them his own. He was able to further refine his trading by direct one-on-one tutoring with Joe. The live course with Joe was the turning point in his career as a professional trader. Although he was already trading successfully using the material in Joe's books, private tutoring enabled Guido to coordinate all that he had learned from the books with what he learned directly from Joe in person. Starting in October 2013, Guido will be the official and exclusive representative of Trading Educators in Italy, and Italian Switzerland, in addition to managing his main trading business. Having studied with Joe, and now working alongside him, Guido is extremely adept at applying Joe's techniques and is familiar with all of Joe's deepest secrets. Guido's main mission is, through Trading Educators, to learn about live trading, but also to learn to love the trading profession for what it is. Guido Albi Marini is a winning professional trader and his main activity is trading. However, beside assisting students with their trading problems twice a year, Guido will continue to act as interpreter for the live courses presented by Joe, and he will conduct a major portion of the course. Alan Parry started trading in 1997, after taking a Joe Ross course, and very soon found that options trading was where he was most comfortable and successful. Because he found only limited and terribly expensive resources available to options traders, he developed his own spreadsheets to fit in with his style of options trading. These spreadsheets have developed over the years, and are now an indispensable tool in his daily trading. Watching Alan trade is seeing a master at work. There aren't many traders around who know more about options than Alan. Joe says: "Alan has truly become one of the greatest options traders in the world today." Alan originally integrated the extremely helpful spreadsheets into a complete course called the "Matrix Options Course". He has now taken a quantum leap with the release of "Matrix Plus" which provides the options trader with all the tools necessary to become a successful trader. The Matrix Plus is able to find the best trades in any strategy by searching through real data, and then back test that strategy over a set period of time. Included is a 90 page document with many tutorials, as well as a full course explaining each strategy. The Matrix Plus will give you the opportunity to partake in high probability trades with very good risk to reward ratios; it does all the work for you and all you need to do is place your trades. The Matrix Plus has many more features too numerous to list here, so take a closer look. You will be surprised by the power that the Matrix Plus will bring to your options trading. Alan is a living example of someone who resides at the tip of Africa, in Cape Town, yet is able to trade the U.S. markets daily. As he says, " No matter where you are in the world, you can trade the markets as long as you have a computer with Internet access." Where prices are likely to move next. Why prices will move there. Who and what causes prices to move. How far prices are likely to move when they do move. Their own role in the movement of prices. How to take advantage of the knowledge they receive. How to properly manage and exit a trade which they have entered. How to manage themselves and acquire the discipline needed to become successful traders. How they can earn while they learn. Independence from complicated trading methods, magic indicators, and black-box systems. Independence from opinion, anyone’s opinion, including their own. Independence achieved through knowing how to read a chart. Independence through having knowledge of insider actions. Independence achieved by taking a holistic approach. Independence coming from knowing how to manage both the trade and themselves. Independence because they understand and trade what they see. Independence because they have learned the truth in trading and the truth about markets, and how and why they move as they do. Students learn only proven methods and techniques, which helps them to preserve capital and create consistent profits. They learn to work effectively and smart. They learn to treat trading as a business: we offer no holy grail or magic systems. They learn to adapt to changing market conditions. They learn a systematic approach to trading rather than a mechanical system for trading.